The type 1 cannabinoid receptor (CB1 receptor) is considered to be the most abundant G protein-coupled receptor (GPCR) in the mammalian brain. 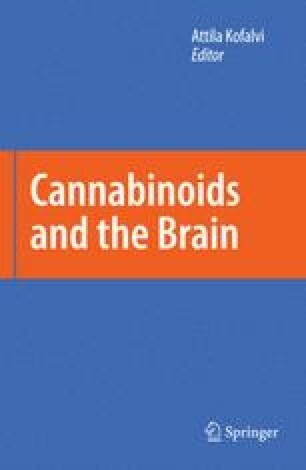 The presence and highly compartmentalized cellular distribution of CB1 receptors in neurons localized to corticolimbic areas, basal ganglia, cerebellum, and brainstem accounts for the majority of behavioral actions associated with cannabinoid drugs. The discovery of endocannabinoids led to an avalanche of data showing that signaling at this GPCR is critical for, e.g., neurogenesis, neural development, synaptic plasticity, learning and memory, food intake, and energy metabolism. In contrast, deficient CB1 receptor expression or coupling to downstream signal transduction cascades contributes to the neuropathogenesis of a broad variety of neurological and metabolic disorders with selective pharmacological modulation of CB1 receptor availability and activity being a prime target for therapeutic intervention. Here, we summarize contemporary knowledge on the regulation of CB1 receptor expression in the central nervous system and describe the contextdependent recruitment of second messengers to this receptor. Finally, we present the concept that CB1 receptor bioavailability together with its momentary signaling activity on neuronal membranes defines the efficacy of endocannabinoid signaling such that a fine-tuned control of synaptic efficacy and plasticity may be achieved.